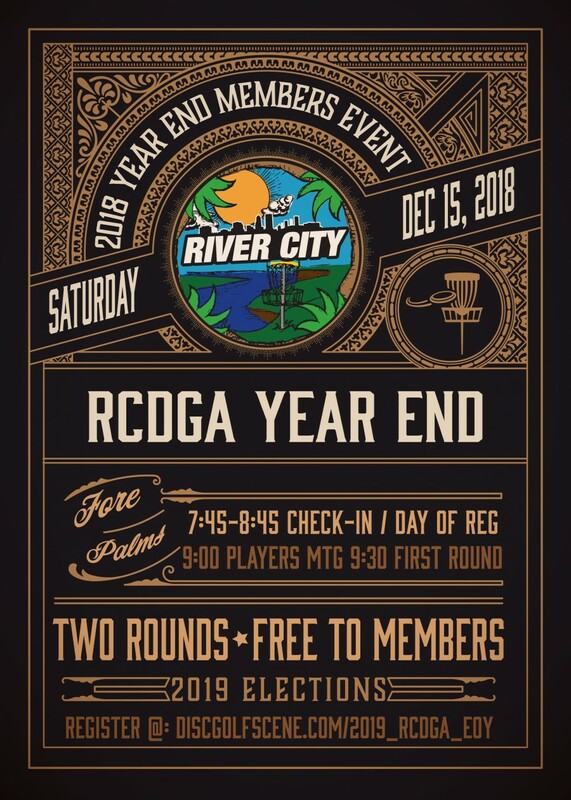 Free for all current RCDGA members. Non-members can join for 2019 and participate. RCDGA Ace Pots will be in play!! Overall Winners for Each Division (AM or PRO) will Win their entry to the 2018 Jacksonville Open in April. Voting for 2019 RCDGA Board of Directors will take place throughout the day and will be announced at awards. 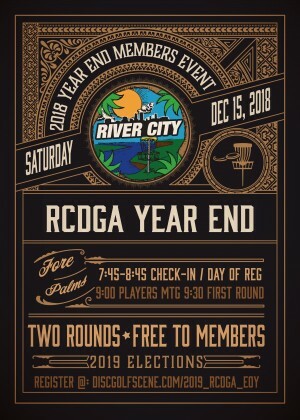 River City Disc Golf Association is responsible for all refunds/cancelations.